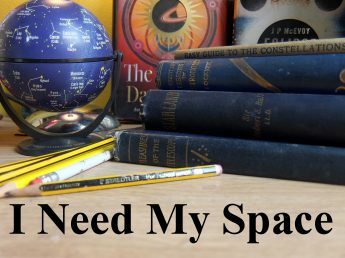 November | 2017 | I Need my Space! Just putting a link here to a good weather forecast site with a dedicated astronomy page. The ‘Moon illusion’ was in full effect this week. Driving into Chapel Ash it fair took my breath away. You never see the effect well on photographs, but it’s always worth trying. I can see Sirius from my kitchen window. It’s 1.20am, and quite tempting to go outside to see what I can see, but the moon’s flooding very bright light over Orion’s right shoulder, and I’m using that as an excuse to not go out with my bino’s. But it’s great to see the winter constellations rising. I can see Castor and Pollox too. As I said in my last post, I set this blog up to record observations and I’ve not been typing stuff up like I should. In fact, I’ve yet to have a proper dark-sky session with my new little 4″ reflector. I did take it out to near the White Ladies Priory about ten days ago. I had a nice look at some usual suspects, like M13, I’ve been getting more fascinated by the Andromeda galaxy, since I found out what I’ve been looking at all these years is just the middle bit, and in fact the actual galaxy is much, much larger. And if it were brighter, it would dwarf the moon in the sky, in terms of size. Last month I was able to chalk up a sighting of Neptune. I found it by using Stellarium, and making a sketch of the stars around the planet. It was a faint binocular object, and I’m hoping to get a glimpse of it as a disc when I next set up my 8″. Saturn was ‘hedge-skimming’ last month too. I got a nice viewing of it by a field near Pattingham last month, and even got a shot of it. Although not up to decent astrophotography standards, it does give a good representation of what you can see of Saturn through a small telescope. I took a short film of the planet – about 1 minute – and stacked it and sharpened it the same was I did Jupiter a few months back. It’s much better than the last image I took of Saturn, where it was swimming through red fog. Last month there was a very strange weather effect that blew up lots of dust in the sky, and the sun was directly vieable. I saw quite a few people taking photos with their phones. The Wolverhampton Astronomy Society have asked me to be a committee member, which I was very pleased about. At the first meeting I attended there was talk of the need to find an observing spot, and I’ve since managed to find a place near Wolverhampton where the society can meet and do some observing. I’m quite hopeful that these observing evening will prove popular. The first session is earmarked for next Tuesday. I was encouraged to see quite a few members expressed an interest in practical astronomy. And lastly, a Moon shot of the current Moon, about ten days ago? (it was full a couple of days ago, so I suppse this is ten or twelve days ago….). I really should write down the dates, shouldn’t I? But again, a roadside single-shot through the new 4″ Skywatcher Heritage scope, which is proving to be one of my favourite astronomy tools. I’ll be taking it to the observing site on Tuesday hopefully.